In perhaps the most famous scene in Kala Bazar, movie stars arrive for the premier of Mother India, to the screaming of ecstatic fans, while Raghuvir (Dev Anand) and his men sell tickets in black nearby. This is a forerunner of celebrity cameos in such films as Naseeb (1981), Pehla Nasha (1993), Om Shanti Om (2007) and this year’s Zero. Unlike in those films, the stars appearing as themselves in Kala Bazar – among them Nargis, Dilip Kumar, Sohrab Modi, Lata Mangeshkar, Kishore Kumar, Mohammed Rafi and Guru Dutt – don’t linger to chat or dance; they wave shyly at the camera or walk quickly past it. Still, the scene offers a glimpse of celebrity-adoration in an earlier era, when things weren’t as innocent as many of us imagine. 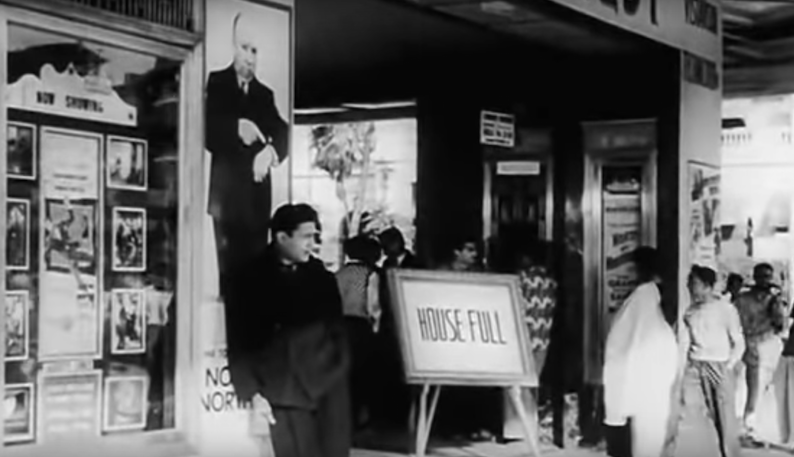 And this is reflected in the main plot too: Raghuvir is driven by penury to set up an illegal city-wide business, which is facilitated by the fact that people are movie-mad enough to buy tickets at inflated prices. Eventually his conscience is awakened by Alka (Waheeda Rehman), who becomes his “dharmatma”, and he repents enough to start a “safed” business for his former associates. Kala Bazar’s first few scenes are marked by vivid sound design and montage. The chants of “paisa, paisa, paisa babu paisa”, heard as Raghu wanders the streets unemployed (while the visuals give us quick dissolves of money changing hands in different contexts), acquire a rhythmic force – we can feel them seeping into his consciousness. The black-marketers’ cries of “sava ka do … sava ka teen … sava ka dus!” are set against shots of Nargis’s anguished face on the Mother India poster, as if to emphasize that THIS is what things have come to in our country. Still later, during the wonderful song “Teri dhoom har kahin”, lyrics like “Duniya ki gaadi ka pahiya / Tu chor tu hee sipaiya” are accompanied by the sounds of honking and a policeman’s whistle (as comedian Rashid Khan, playing Raghuvir’s friend, mimes the words). There is a distinct visual and aural sensibility here, and much of it owes to the film’s young writer-director Vijay Anand (Dev Anand’s brother, a decade younger than the star). His facility with long takes – more fully explored in later films like Guide and Jewel Thief – is on view too, especially in the staging of group scenes where Raghu and his men debate the ethics of what they are doing. Working in black-and-white, Vijay Anand even manages to imbue a devotional-song sequence with shadows and canted angles from film noir. 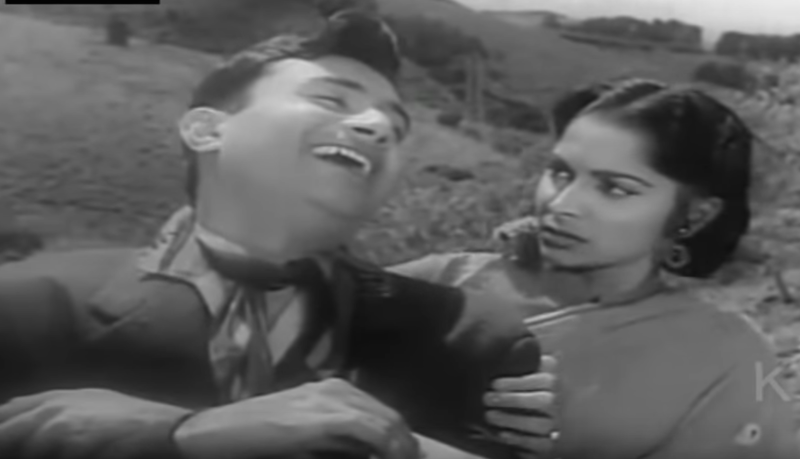 But Vijay Anand the actor is also an important part of Kala Bazar, very natural and laidback in his small part as Alka’s boyfriend Nand, who goes abroad to study (thus clearing the way for Raghu to step in). With no disrespect to Dev Anand, a great star-actor, there are times here when he comes off as a little too self-conscious (anticipating his more narcissistic roles in decades ahead) while his younger brother’s performance is more intriguing. Their elder sibling, Chetan Anand, also has a small role as a lawyer, making it the only time the three appeared in the same film. Notwithstanding one awkwardly protracted sequence where Raghu slips off a cliff in trying to get a flower for Alka (a narrative set-up for the line “Kya yeh mumkin nahin ke tum hamesha mujhe girne se bacha do?”), Rehman’s sharp, no-nonsense performance works brilliantly within the modernity of the Navketan Films universe. In fact, there is a separate mini-film here about a young woman assessing her feelings for two different men, making a choice, and confronting her former boyfriend in a scene that is wonderfully played by Rehman and Vijay Anand. “Judaai ke imtehaan mein hum dono hee fail ho gaye,” Nand and Alka say as they exchange smiles, accepting that their dalliance was puppy-love and that they have moved on. She takes her ring off and tells him to give it to his new French girlfriend; he gives her a rose to put in Raghuvir’s collar. It’s a lovely, atypical moment for screen romances of the period. SD Burman’s music includes the celebrated “Khoya Khoya Chand”, but equally notable are Shailendra’s lyrics, which – across two songs – playfully explore the idea of fake or duplicate Gods. First, “Teri dhoom har kahin” invokes money as a deity (note the wordplay around “dhoom”, which implies smoke that can cloud one’s judgement, but is also linked to the incense used in worship) – later, in the train song “Apni toh har aah”, Raghu makes pious-sounding references to “upar waala” when he is slyly trying to get the attention of Alka, sleeping on the berth above him. Taken together, these sequences might be said to track Raghu’s journey from greed to redemption, from a “bad” form of devotion to a “good” one. Which is what the film as a whole is about. Nice coverage. Kala Bazaar was the second Dev Anand film I saw. In early 1977.It was screened using a 16 mm reel, on the terrace of a building next to the one where we stayed in Patna then. I was confused by Dev's hair style; film magazines, posters and Bullet (1976, also Vijay Anand) had convinced me that he wore his hair straight, something I loved to copy then (Might have noticed similarities even now). Coming to the film. I did not like the film then, though I found the songs interesting and extremely well picturised. I thought Dev was great during KHoya Khoya chand. The film was shown on DD in mid 1979. I saw it a second time and disliked the film further. Later, think around 1987-88, I saw the film once more. On VHS. I liked it. However, there was a major contraction in perception w.r.t the picturization of songs. I thought Dev was terrible in Khoya Khoya chand. Do check the details of the songs, have discussed them (and two shooting schedules too) in the SD Burman book. Kala Bazaar to me remains extremely relevant courtesy its brilliant music. Brilliant as usual...I always think that the films like Kalaa Bazaar and Johny Mera Naam and Tere Mere Sapne were greater evidences of Vijay Anand's prowess as a director; than the more celebrated Guide and Jewel Thief. I enjoyed this piece even mor because, in my heart, I always wanted you to write about Vijay Anand more frequently. 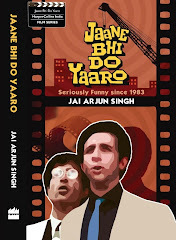 Apologies for imposing my wish list, but do consider writing a detailed version on Vijay Anand's works...Thanks !! I saw this as a teenager and I recall being utterly charmed by the scene in which Waheeda and Vijay break up - it was done with such maturity and affection, and the whole idea of having a boyfriend, and accepting it didn't work out, was leagues ahead of its time. The rest of the movie didn't have the lightness of that scene, and that's a pity.